The camera used as the basis for this conversion is widely available on eBay® for around $50. The KY-1900 was a professional-grade camera. It was one of the few models to be produced with a plastic orange body, making it very distinctive, and a mark of high-end professionalism for camera crews. Back in 1982, this camera retailed for around $9,000. The KY-1900 is a three-tube type color video camera which employs separate pickup tubes (Saticons) for red, green, and blue channels. 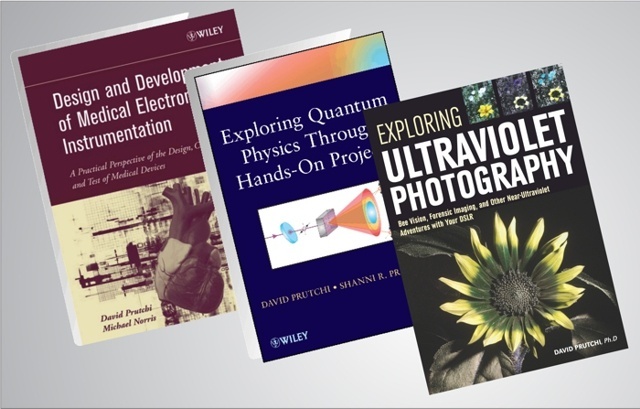 Incident light through the lens is split into three colors by dichroic beamsplitters. JVC added RGB color filters inside the second relay lenses to improve color reproducibility. 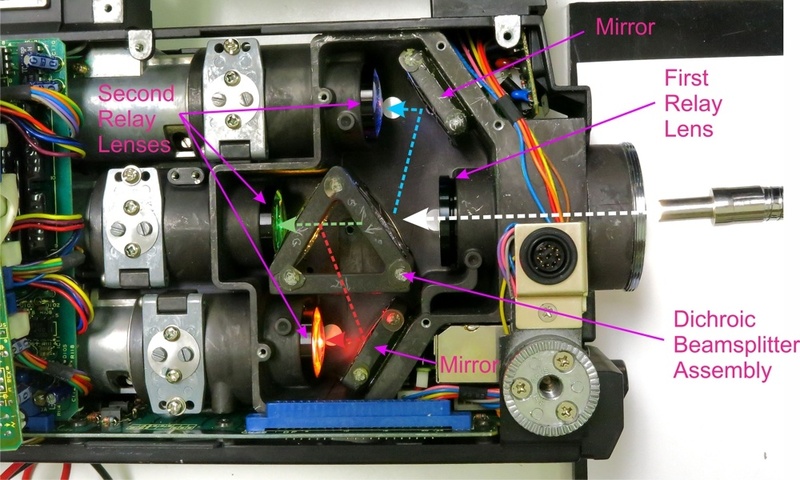 The modification to turn the JVC KY-1900 camera into a real-time polarimetric imager consists of exchanging the original dichroic beamsplitters by wideband beamsplitters, eliminating the color trimming filters, and adding polarization analyzers. The project’s whitepaper goes into the full nitty-gritty of how to disassemble the camera and make the conversion. This camera suffers of poor spatial and polarization resolution that are the result of using a 1980s technology and the NTSC (colloquially known as “Never the Same Color”) standard. However, what this polarimetric camera lacks in resolution, it makes up in speed. The NTSC standard ran at 29.97 frames/s (nominally “30 frames/s”), which is dramatically faster than a frame every few seconds for the DoLPi-Mech, or even 8 frames/s for the DoLPi-EO in 640×480 pixel low-resolution mode. 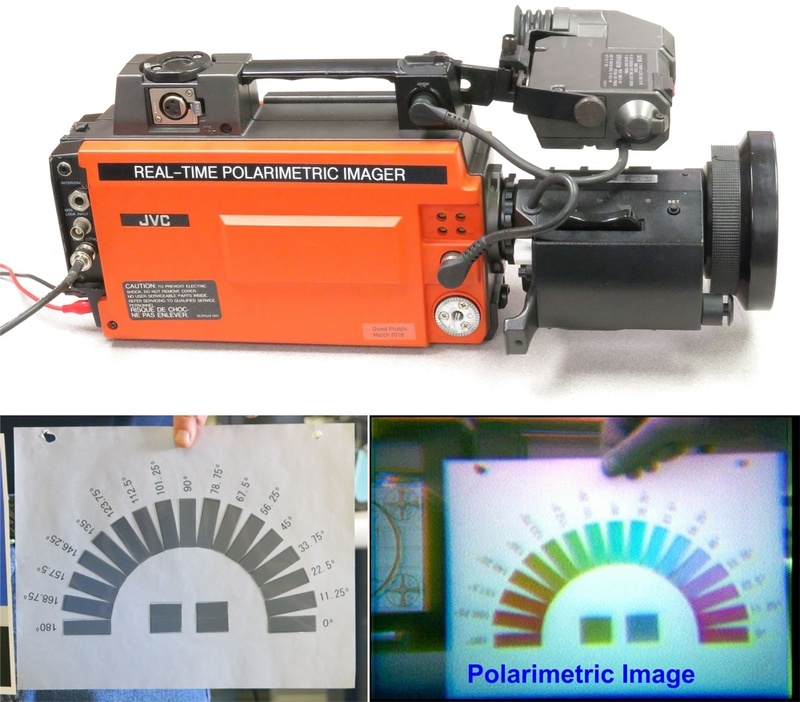 Moreover, and unlike the DoLPi cameras, the three polarization images used to create the RGB-encoded image are acquired simultaneously by the three Saticon tubes, so moving objects do not produce false polarization ghosts.